Front of the brochure for the very first IIP awards in 1998. 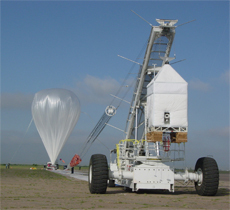 The Instrument Incubator Program fosters the development and assessment of innovative remote-sensing concepts in ground, aircraft, or engineering model demonstrations. Because the Earth Science Division is an evolving program with changing needs, periodic NASA Research Announcements (NRA) will solicit a wide range of instrument development activities. New and innovative technologies will lead to flight instruments that are smaller with reduced materials, costs and build time. Furthermore, by early investment in the life cycle of an instrument and demonstrating performance, space-flight instrument builds will encounter less development risk, cost, and schedule uncertainty. As promising new technologies emerge from core programs in government, private industry, academic, or other non-profit organizations, proposers are encouraged to incorporate these latest developments into their instrument concepts. NRAs are expected to solicit some combination of feasibility studies; requirements analysis; design; construction of breadboards, prototypes, and engineering models; and laboratory and field demonstrations. Individual NRAs may focus on specific science questions or may address the whole science program. 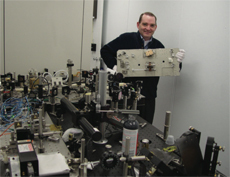 IIP provides a continuing source of mature instrument designs merging state-of-the-art technologies with measurement objectives available for use in the next generation of science missions. A key element of the Instrument Incubator Program's strategy is the advanced studies and ground-based demonstration phase. NRAs are released regularly to ensure that a steady stream of instrument technologies is available for future measurements. This activity will be conducted via a peer reviewed process by government, academic, and private industry research teams knowledgeable in remote-sensing and in situ measurement techniques to study global variables of the Earth system. The program encourages the use of the latest remote sensing technologies resulting from NASA's technology development programs and combining them with other government agency, academic and private industry investments to develop new instrument systems and subsystems. NASA Research Announcements appear in their entirety at the NASA NSPIRES [Solicitation and Proposal Integrated Review and Evaluation System] website. Future Incubator solicitations will focus on specific areas of science or measurement technology, taking into account the ongoing set of IIP projects, the current science priorities, future mission scenarios, and existing and planned technology partnerships. The IIP uses the NASA Research Announcement as its investment vehicle. Links to the full solicitations and awards are listed in the table below. For a full list of ESTO investments, across all program lines, visit the Solicitations page.